The presence of Charlotte Brontë's Jane Eyre—as both this novel's partial inspiration and its heroine's own favorite book—adds considerable romantic-gothic flavor to a leisurely tale of a young maidservant's enlightening and disillusioning "education." 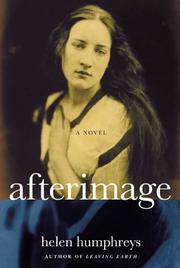 When Annie Phelan, orphaned and condemned to a life of "service" by the Irish Potato Famine, arrives at the English country home of the Dashells, she's eyed warily by fellow servants envious of her delicate beauty and appropriated by her mistress Isabelle, a photographer (modeled on Victorian Julia Margaret Cameron) given to "arranging" nearby people on various classical and literary poses. The initially reluctant Annie "becomes" Isabelle's Guinevere, Ophelia, Sappho, and Madonna. Meanwhile, Annie finds herself in a virtual friendship with Isabelle's docile husband Eldon, a scholarly cartographer who allows Annie (a devout reader) the use of his library and confides to her his unrealized ambition: he had "wanted to be a great adventurer" and explorer, but settled instead for devising "a themed map of the world" for a publisher of atlases. Humphreys (Leaving Earth, 1998) turns the Dashells' loveless marriage and burden of sorrow (three stillborn babies, and no living children) into a lucid but awfully undramatic debate about the nature and utility of artistic and factual representations of reality—so much so that when Eldon's frustrations overpower his reason and Isabelle's stunted maternal longings are subsumed into her growing intimacy with Annie, the sudden consequent surges of emotion seem out of keeping with the story's carefully managed restraint. As a result, its climactic surprises feel forced, and involve the reader far less than do incidental vivid glimpses into Annie's confused mind and heart, and an array of beautiful images (notably the richly suggestive one of a winged boy falling out of the sky). More than capably written, and redeemed by many stunning moments, but a little too rigorously staged to be fully convincing.